The State Bank of India’s UK head Sanjiv Chadha has been honoured with the ‘Freedom of the City of London’ award in recognition of his contribution to promoting the bilateral relations. Sanjiv Chadha took up the position at the helm of the 98-year-old London office of the State Bank of India in 2014. The previous Indian recipient of the honour is Jawaharlal Nehru, the first Prime Minister of India. The seasonally adjusted Nikkei India Services Business Activity Index report about the Services Business Activity in India has been released. The index witnessed a drop for the second straight month in January to 52.2 from 53.2 in December. The report notes that Business activity growth in the Indian service sector cooled further at the start of 2019, amid the weakest upturn in new work since last September. The second edition of the Asia LPG Summit was inaugurated by Union Minister for Petroleum & Natural Gas with the theme ‘LPG – Energy for Life’ at New Delhi. The two-day summit will deliberate over series of subjects including how India’s successful Pradhan Mantri Ujjwala Yojana can become a viable model for other countries to replicate particularly those striving to provide clean cooking fuel to its people. The first summit was held in 2017. The government of Thailand has approved the proposal to name Siamese fighting fish as the National Aquatic Animal. The Siamese fighting fish was chosen as it’s a native, unique species to the kingdom’s waters and an important animal for Thailand’s economy. The Siamese fighting fish commonly known as the betta is a popular fish in the aquarium trade. The designation of Siamese fighting fish as Thailand’s national aquatic animal could help boost both conservation efforts and commercial breeding. 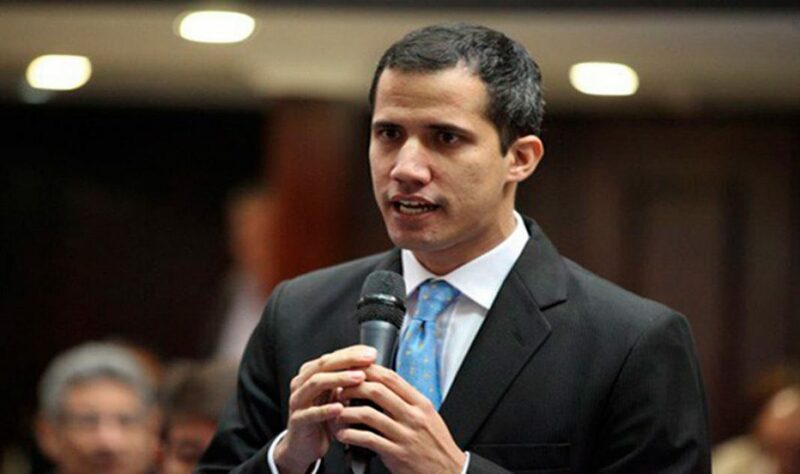 European Union, Australia, US, New Zealand have recognised Juan Guaidó, the opposition leader and the head of the National Assembly as the president of Venezuela. On 23rd January the leader of the legislature, Juan Guaidó, declared himself acting president. This was a challenge to President Nicolás Maduro, who had been sworn into a second six-year term in office just two weeks previously. Articles 233 and 333 of Venezuela’s constitution empower the head of the National Assembly takes over as acting president under such circumstances. Know India Programme (KIP), a flagship initiative for Diaspora engagement, aims to familiarize Indian-origin youth (18-30 years) with their Indian roots and contemporary India. The 3-day orientation programme provides a unique forum for students & young professionals of Indian origin to visit India, share their views, expectations & experience s and to develop closer bonds with contemporary India. The programme was started in 2003 and is open to PIO youth from all over the world. The Union Road Transport Minister Nitin Gadkari on February 6, 2019 laid the foundation stone of three major highway projects with an investment worth Rs 2,345 crores in Odisha for the speedy development of the state. The new structures include three bypasses, one flyover, 19 vehicular underpasses, nine major and 39 minor bridges and a 45-km of the service road. President Donald Trump announced on February 5, 2019 that he will hold the second summit with the North Korean leader, Kim Jong Un in Vietnam on February 27-28, 2019 as part of his administration’s endeavours to denuclearise North Korea. Vietnam has diplomatic ties with both Washington and Pyongyang. The first Summit was held in Singapore on June 12, 2018. The Denuclearisation of North Korea has recently become crucial for the world leaders after they witnessed the back-to-back nuclear missile tests by the North Korea. 1. Who has been honoured with the ‘Freedom of the City of London’ award recently? 2. Who is the first recipient of the ‘Freedom of the City of London’ award? 3. When was the first Asia LPG Summit held? 4. Which country designated Siamese fighting fish as its national aquatic animal? 5. Which country is facing presidential crisis at present? 6. When was the Know India Programme started? 7. Where have been the three major highway projects laid foundation recently by the Union Road Transport Minister Nitin Gadkari? 8. Where was the first Trump-Kim summit held?